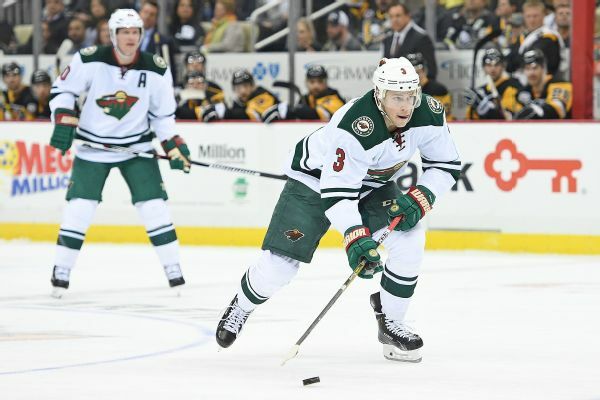 Boston added a versatile forward, but it paid a stiff price to Minnesota. We grade both GMs on the deal. 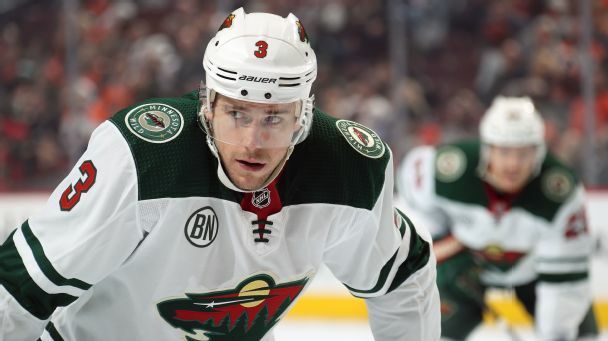 Charlie Coyle, the subject of trade rumors the past two seasons, has been dealt by Minnesota to Boston for Ryan Donato and a fifth-round draft pick, a source said. 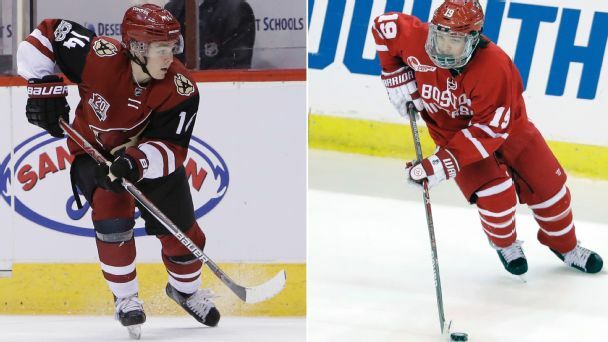 One of the more intense battles in college hockey doesn't take a cease-fire when the players move on to the NHL, as evident from the spirited chirping among former Boston College and Boston University players such as Clayton Keller. 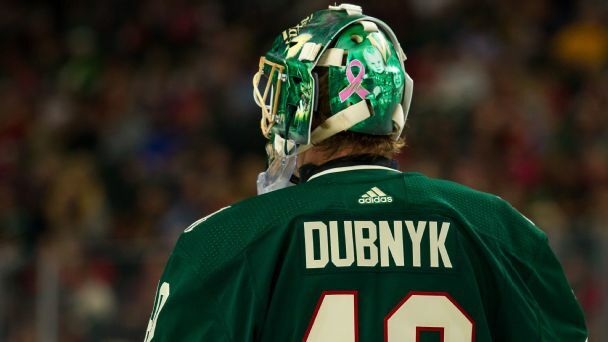 The Minnesota Wild lost three forwards to injuries in their 5-2 win Friday over the Blackhawks. 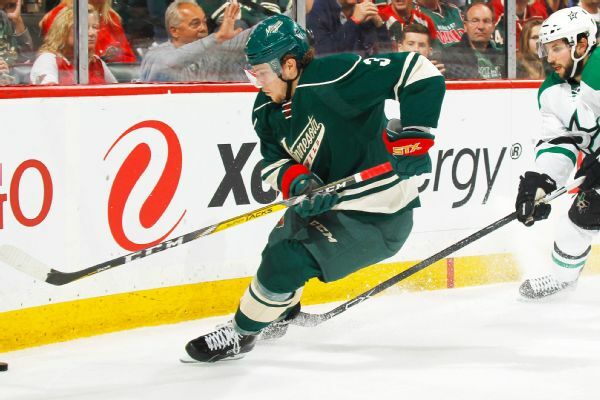 Charlie Coyle is out 6-8 weeks with a broken leg. 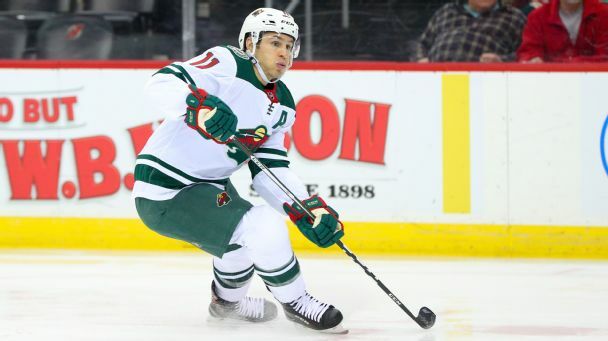 Nino Niederreiter suffered an ankle sprain, and Marcus Foligno suffered a broken facial bone. The Capitals are clearly the league's one true powerhouse team. Will the bye week help or hurt Washington? 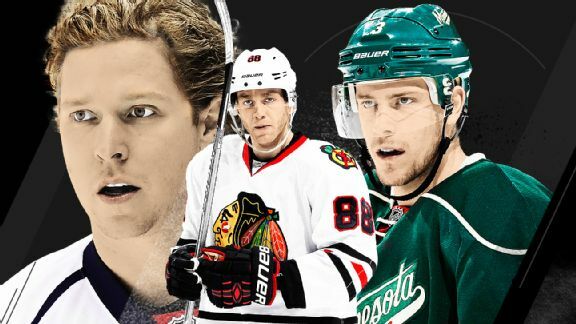 Meanwhile, the Blackhawks keep soaring, and the Canadiens are suddenly in free fall. 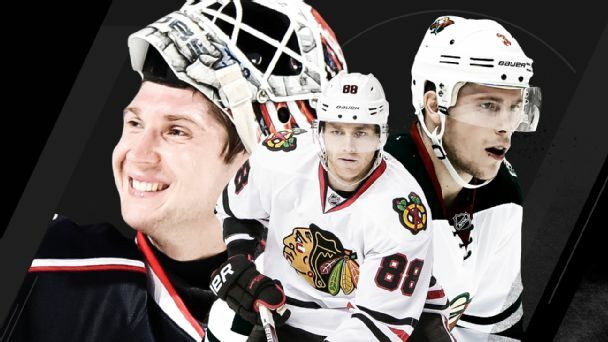 A 12-game winning streak and a hot goaltender will get you the top spot in the rankings every time. 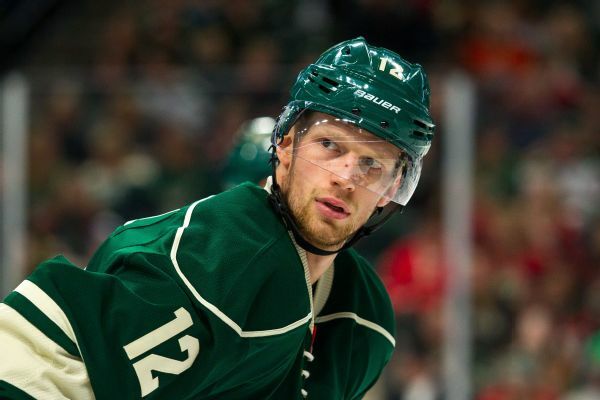 But the Minnesota Wild and Chicago Blackhawks have their eye on you, Columbus Blue Jackets.